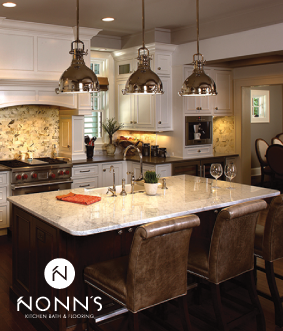 For over 30 years, Nonn's has been the place for cabinetry, countertops and flooring in Wisconsin. Staffed with a talented team of interior, kitchen and cabinet designers, and with crews of experienced certified installers, Nonn's stands ready to guide their customers from making showroom selections to guaranteeing their project is completed timely and professionally. And because Nonn's staff of buyers travels the country ? and the globe ? to hand-select only the finest products available, stocking this unique selection of items in their own distribution center, Nonn?s is able to pass on the value and savings that their customers have come to expect. 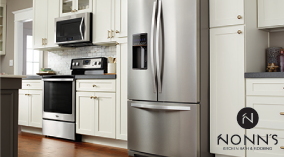 This is Nonn's, helping Wisconsin to love their homes!